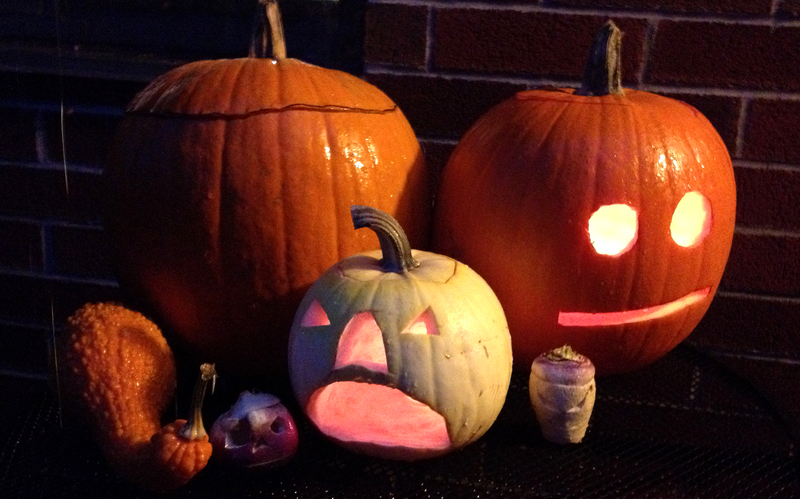 Carved pumpkins and turnips scare away the negative and light the way for our beloved dead. Photo by Weretoad, 2013. 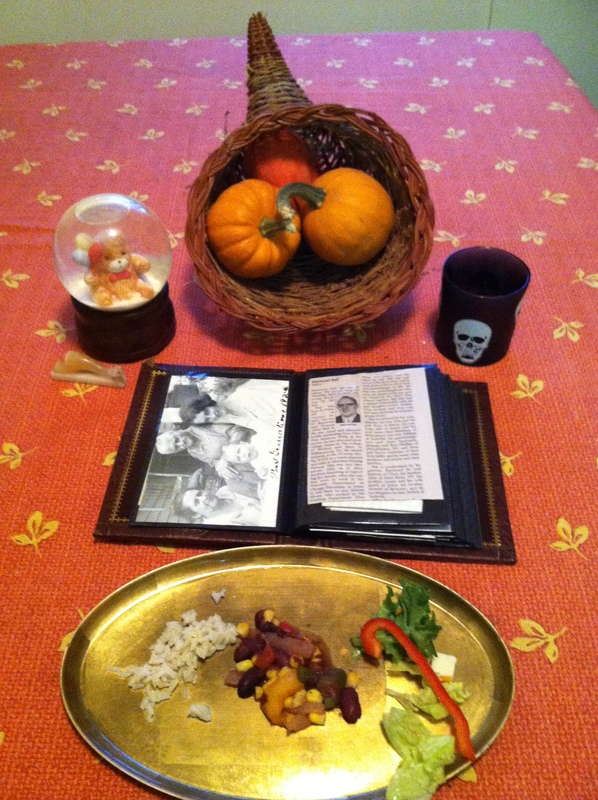 Hospitality for the Ancestors and offerings from our meal. Photo by Grey Catsidhe, 2013.